If you've followed my blog at all, then I don't have to explain to you just how much I love rompers. I'm almost embarrassed of how many I buy every summer. I see it as a sort of "fashion laziness". Either way, they are just always an easey go-to. Whether dressed up or down, rompers just make it easy. This particular romper, I fell in love with because of the bright color scheme and the flounce-y bottom with the slanted hem. That just gives it the slight boho chic feel, that I'm usually drawn to and also makes it stand out. Being 5'9 inches tall and all, I am definitely giving a lot of leg, which I try not to over do....but sometimes, you jut got to. This has "date DAY" written all over it. 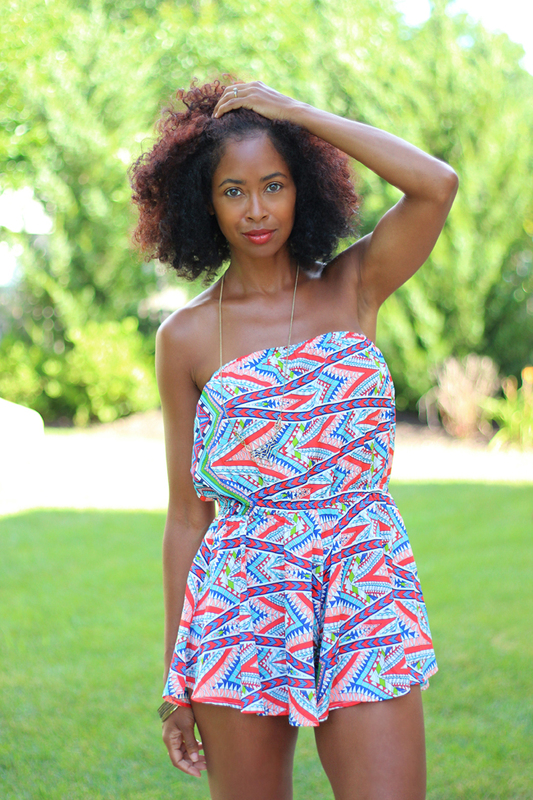 You always slay in these rompers! Like you said, they're an easy "go to" and they're effortlessly chic. LOVEEE!! This romper is everything!